Looking through old school photos I noticed something pretty strange. I have EXACTLY the same hairstyle I did when I was around 14/15. Over a decade later (!!) I've gone back to a very nondescript long, slightly off centre parted style. In between times I've been very blonde, very red and even black but my natural hair colour has returned (albeit with some ombre lurking) and I'm wearing my hair like the teenage me did. Yup - that's crimped hair. Why though? 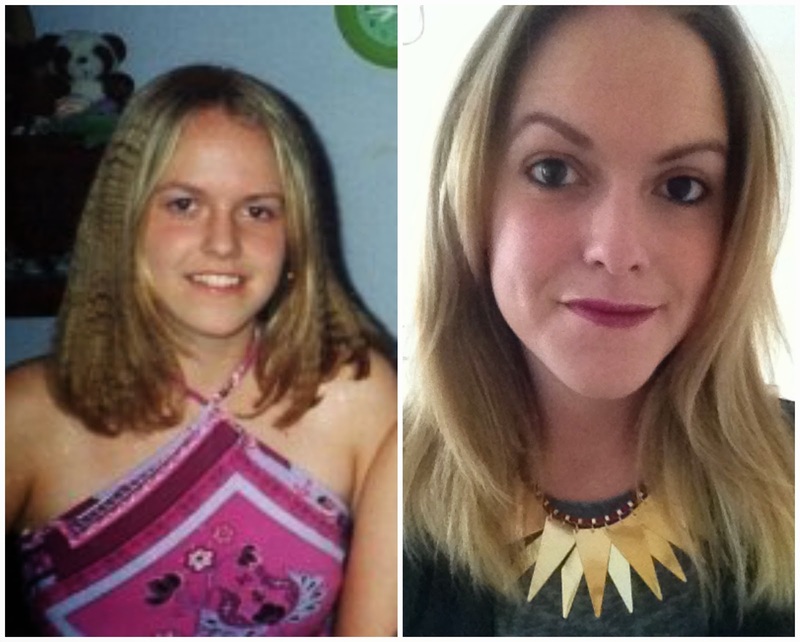 My face shape has changed as I've got older, and my dress sense has definitely developed (gone are the Avril Lavinge inspired ties and baggy jeans - yikes!) Maybe I've returned to a 'safe' style I know suits to regress back to my younger days, or maybe I'm just lazy with my style. Sure, it's worn wavier and not ironed flat to my head as in my younger days, but it's very much the same style. I think it's time for a change, so I'll be booking in for a restyle as whilst it was nice being 16, it's even better being 28...and I think a fringe would cover my ever increasing forehead lines. Has your style changed? Or have you style recycled?